When exam is around the corner, students start to feel kiasu. "HARDWORKING" students start to make reservation in study rooms and treat it like they own the cubical. This is the 3rd time I am watching it and it's still very nice ! In my opinion, I still think that the anime back in my time are much more better than the anime nowadays (e.g. Naruto and Bleach). Few weeks ago, I also managed to find the emulator of SNES (Super Nintendo Entertainment System) and started to play the Slam Dunk game that I did not manage to finish it when I was in Primary 5. I managed to finish the Story Mode within few days by defeating Ryonan High School at the final stage ! It's really a nice game and I strongly recommend this to all the Slam Dunk fans out there. Is it because I am afraid of stepping into the working society? I used to like Akagi. Understand that. I used to watch anime and Hong Kong drama too when I'm stress. 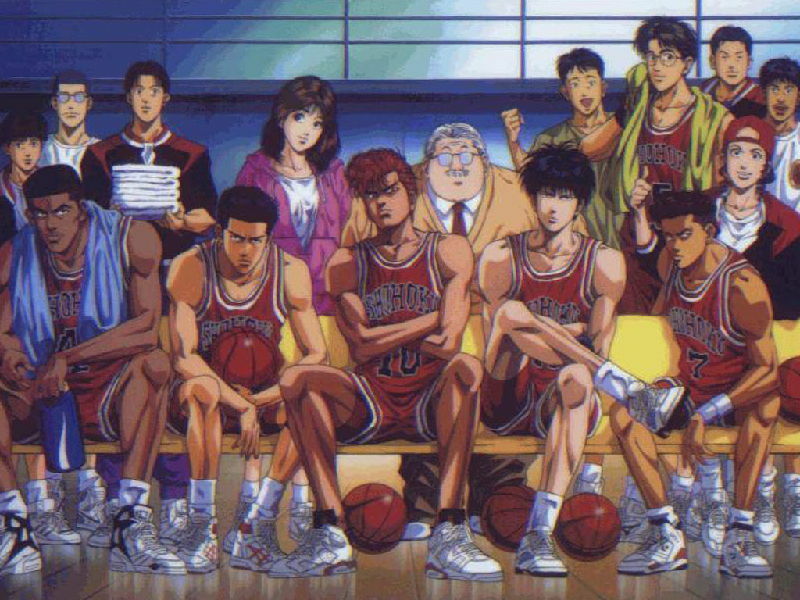 [Jerine] I prefer Sakuragi !! [Jessen] Yea...but i am very outdated now,still watching D.I.E again ..
[Kenwooi] Sure, that time I was just 11 yrs old leh,now doubled the age dy.